Samantha Little is a senior at HHS who is in her fourth year on staff and one of the eight Editors-in-Chief. She is also co-drum captain on the drumline, where she plays snare drum during Friday night football games and marching band competitions. She spends her winters in the pool swimming for the high school team, and then shifts into track and field for the spring season. 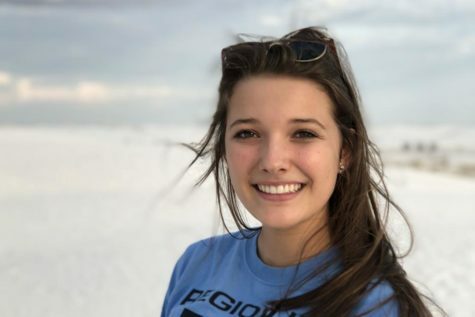 Much of her happiness stems from spending quality time with friends and family, swimming (which has been the case for 13 years now), and listening to Tennessee Whiskey by Chris Stapleton. In the future, she hopes to zipline in the Amazon Rainforest, hang glide in Rio de Janeiro and skydive in Hawaii. She also hopes to see and explore the rest of the world while actually on land.